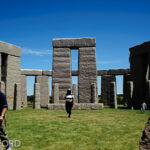 Did you know that there are several Stonehenge replicas! I have visited one in Washington State, and one in Western Australia. I visited the original in England, years ago, and by viewing these replicas it is nice to see what the original probably looked like. 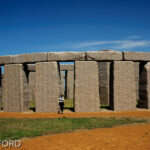 Esperance Stonehenge has been constructed on the South Coast of Western Australia. 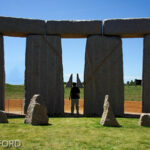 There are thought to be 66 large, permanent replicas of Stonehenge throughout the world. 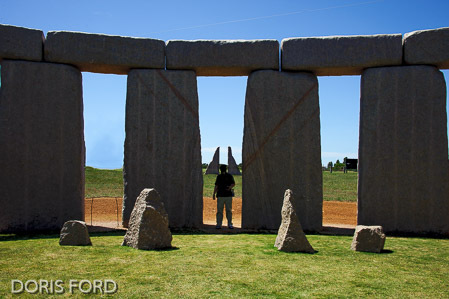 It is a full size replica of the original “Stonehenge” in the UK, as it would have looked around 1950BC. 137 Stones of Esperance Pink Granite quarried adjacent to the Beale’s property, in Esperance, Western Australia. 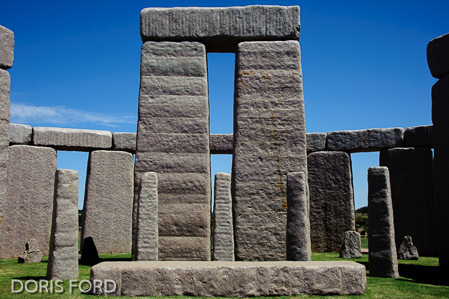 The 10 Trilithon Stones in a horseshoe pattern weigh between 28-50 tonnes each, standing with the 18 tonne lintels to a height of 8 metres. Inside the Trilithon Horseshoe stands another Horseshoe of 19 Blue Stones. 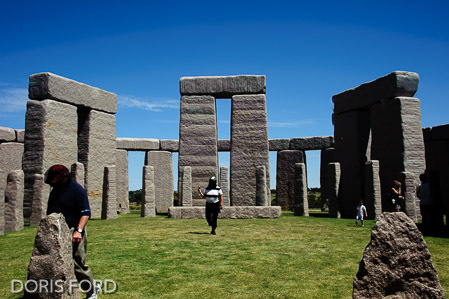 The Trilithon Stones are surrounded by a circle of 30 Sarsen Stones weighing 28 tonnes each and standing almost 5 metres high including the 7 tonne lintels on top. 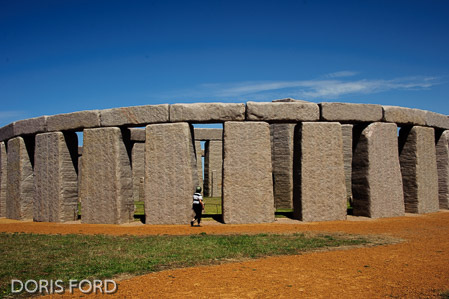 Positioned between the Sarsen Circle and the Trilithon Stones is a full circle of 40 smaller stones, referred to as the Bluestone Circle. 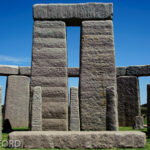 The Altar Stone weighs 9 tonne and lies in front of the tallest Trilithon Stones. For after hours contact call 90759003 or 0457647325.